I was hoping to share with you the painted shed, but unfortunately it rained all weekend which means I had to switch things up a bit. This allowed me to focus on the interior, so Joshua and I worked on clearing out anything from the shed that needed to be donated. We did a big donation run which freed up some space in the garage so next Joshua can work on moving the rest of his stuff out of the shed. 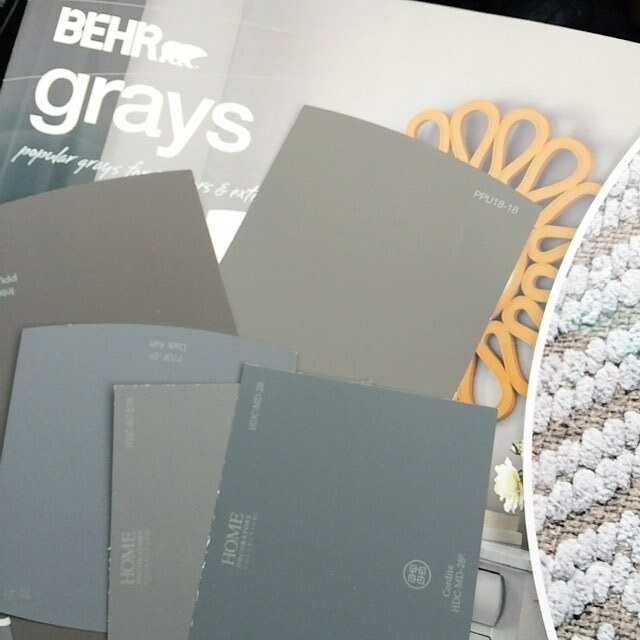 Sunday night we picked up some swatches from Home Depot, and we were able to narrow it down to two possible color choices: Behr’s Welded Iron or Dark Ash. 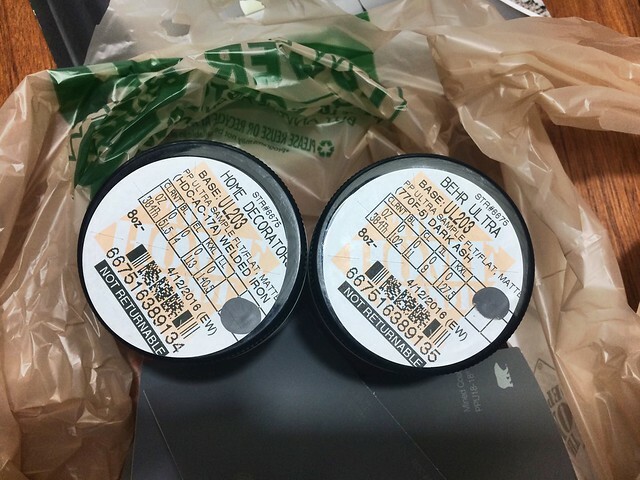 Tuesday night we got our paint samples, and tonight I plan on painting them on the shed so we can decide on our color by Saturday. Our goal is to clean and prep Saturday and then paint on Sunday. Cristina I adore the direction that your room is headed towards! You did SO much better than I did in my room this week. Thank you so much, Laura! And thanks for letting me know about the linkup! Good luck getting it all done. It sounds like a great challenge! Hope it all goes well. It is a challenge, for sure! Sometimes I wonder if we’re going to be able to get it all done in time, but so far we’ve been making really good progress.